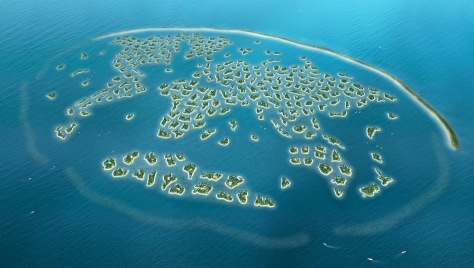 Abu Dhabi’s Man Made Islands – Miracles in the world! Abu Dhabi is a country with man-made wonders. Once you reserve a centrally located hotel in Abu Dhabi, you can explore the city with ease. Eastern Mangroves, Abu Dhabi is a popular option of accommodation Abu Dhabi has in store for its visitors. To make the most of your journey travellers need to travel to all the magnificent attractions in the city. Some of the must visit attractions in Abu Dhabi are the man-made islands dispersed across the country. These islands are great engineering feats and the Palm Jumeirah and Palm Jebel Ali are two examples for these man- made islands. Known as one of the largest artificial islands in the world, the Palm Jumeirah is a breathtaking creation of man. Every year in early spring, for the past 30 years Parisians have enjoyed a jazz festival that showcases all genres of the medium interpreted by artists from around the world. Known as the Banlieues Bleues, it takes place over about two weeks in multiple locations around the north eastern suburbs of Paris, Seine St Denis. The festival appears to have had a definite impact on the regeneration of the area which was a quiet residential area. The festival brings together traditional and new styles of jazz from Afro Cuban to New Orleans to acid, blues, gypsy music and experimental jazz performed by both new and established artistes. In fact the festival is all about introducing all sorts of beats, blends and sounds and introducing new exponents of the genre who are encouraged to distribute their music at the festival. Not only is it an opportunity for festival goers to be introduced to new music and new interpretations of jazz standards, it is a platform for performers to present new compositions and for new performers to showcase their skills. Some performers in addition to displaying their musical virtuosity dress up their concerts with the use of costumes and dance. The festival noted for the high quality of its music is packed with superb musicians and provides a rare treat for jazz lovers. Jazz fans can attend individual performances of their choice or get a festival pass to see any three performances and get reduced rates for any other performance they may wish to attend. The staging of performances in multiple locations around the city allows festival goers to discover new cultural venues. The Banlieues Bleues festival was created by a cultural association who bears the same name as the festival and received institutional and public support to make it happen. They are dedicated to the creation and dissemination of information on modern musical forms not only in regional neighbourhoods but at a national level and raising public awareness of the various types of jazz music. Experience the quintessential Raffles service at Le Royal Monceau Raffles Paris, a place which offers all modern conveniences and luxury in its selection of elegant, contemporary accommodation and facilities and amenities that make staying here a real pleasure. As one of prominent luxury hotels Paris, guests enjoy an exceptional location, stylish public spaces, divine dining destinations and an amazing spa and leisure facilities that are really worth trying out. Take advantage of the offers at this luxury hotel Paris to discover a luxury hotel with a difference. Art has always been an intricate part of history. Something about historical art touches one deep in the core. The sentimentality and the lifestyle from many centuries gone by is so beautifully portrayed in historical art. Art techniques from the yesteryears are very different from the modern day method. Much early on, frescoes were a popular method of painting. Frescos actually means mural paintings performed on freshly applied lime plaster. The color pigments are combined with water and are applied on this lime base. Fresco is actually an Italian word which means ‘fresh’. Throughout the world you can find several different types of frescoes that were performed in different periods of history. But perhaps one of the most renowned and magnificent of them all is the frescoes you find in Sigiriya located in Sri Lanka. Sigiriya is known as the land that houses the massive rock fortress that has been recognized as a world heritage site. Among the many wonders of the Sigiriya rocks it is the frescos that stand above them all. In almost every description of Sigiriya you will find pictures of these frescoes alongside. The Sigiriya frescos can be found in the western side of the rock. There are about 29 paintings available but according to some of the inscriptions found here there were at least 500 paintings at the time of King Kashyapa. Most of the paintings are of beautiful ladies who are adorned with flowers and jewellery. Who they are have been arguable. Some say they were queens, others say they were servants and some people say they were worshippers. There is a subtle beauty in the faces of the ladies painted. There is a calm in these paintings that makes the frescos you find in Sri Lanka some of the best in the world. The Artistic hands of Sri Lanka have come down from generations. There are plenty of Sri Lankan Artists available in the country who excel in all types of modern and traditional artwork. In Sri Lanka arts are given highest regard and the work of Sri Lanka artists, be it modern or traditional, is very much appreciated. A traveller seeking apartment accommodation Hobart does not have to look beyond Somerset on Salamanca Hobart, a renowned option of accommodation in Hobart. Among the places to visit in the region, Royal Tasmanian Botanical Gardens take a special place. Home to numerous plant species, the garden’s main highlights are collections of Tasmanian plants and Subantarctic Plant House which is the only one of its kind in the world where plants which were collected from various places including Macquarie Island are housed. Within Royal Tasmanian Botanical Gardens are a gallery, souvenir shop and a restaurant as well. Bangkok Lifestyle- Stylish, Vibrant and Exciting! Bangkok is a lively place all throughout the year and there is no boring time in a vibrant capital like this. To make the most of your holiday, arrange your Sukhumvit accommodation prior to your arrival. Anantara Baan Rajprasong Bangkok which is convenient and ideally located closer to many top venues and attractions in the city is one of the best Bangkok serviced apartments you can try out. Whether the travellers are looking for indoor or outdoor activities, or physical or leisure activities, Bangkok has everything in store for its visitors. Ranging from sightseeing tours, spa treatments, theme parks to Muay Thai tournaments and bowling and cycling, travellers can try out numerous activities while savouring authentic Thai cuisine and shopping in many top department stores Bangkok boasts of. Best Spas in Bangkok- A rejuvenating experience! One of the must do things when you are holidaying in Thailand is to relax and unwind in a Thai spa. After a tiring shopping spree or a sightseeing tour, all you can ask for is a place to call home in the city. Anantara Bangkok Sathorn is one of the top hotels Bangkok has in store for its visitors. This luxury Bangkok hotel is located within the vicinity of the city’s top shopping, dining and entertainment venues and it will offer its guests a convenient stay while they are vacationing in Thailand. Thai spas are renowned for its rejuvenating and indulging therapeutic treatments. There are some of the best spas such as Ananda Spa, Chi-The Spa and I.sawan Residential Spa. In these spas a wide range of traditional thai health and beauty treatments as well as international herbal treatments are available. Rich in history and culture, Taipei’s rich heritage can be experienced when visiting such sites as the Mengjia Longshan Temple. Those wanting to indulge in the finer things in life before heading on their sightseeing adventures should look to stay at well placed luxury hotels in Taipei such as Regent Taipei. Enjoying a central location in the Zhong Shan area, this luxury hotel Taipei makes an ideal base for business and leisure travellers alike. A site definitely worth visiting, the Mengjia Longshan Temple dates back to 1738 and was constructed by settlers who came from Fujian. Serving as a place of worship, the temple showcases classical Taiwanese architecture and features such elements as decorated gates and a courtyard with a waterfall. An ideal time to visit is when worshippers including Taoists and Buddhists come to the site in order to burn incense sticks and offer prayers.